and was to come back on September 24, but he didn't. There has been no contact from him since he left. on September 5, just three days after his arrival. and probably a local guide accompanied them. went out to a restaurant together. This is the last sighting of Kota. went to the restaurant together on the night. 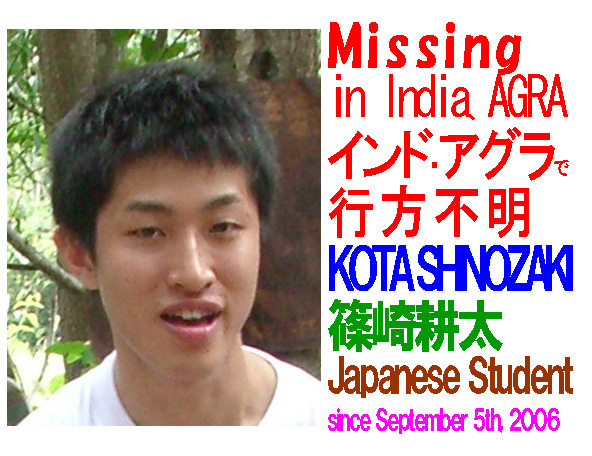 To know more details,please see "Search Record"
This HP is edited by the group of "Searching for Kota Shinozaki "